1. Briarwood Safari Morristown, Tenn.
A roadside zoo near Knoxville where numerous violations of the Animal Welfare Act have gone unpunished, including an open socket end of a wire cord hanging inside a wallaby enclosure, empty water troughs, goats covered in flies, animals crammed in incredibly small enclosures, and feed bowls for alpacas covered in feces. An animal testing facility that failed to provide adequate veterinary care and used unapproved wire flooring that caused so much injury dogs were unable to move. It also failed to provide ventilation in one kennel room with the stench of ammonia so strong it burned the inspector's eyes. 3. Crossland Zoo Crosset, Ark. 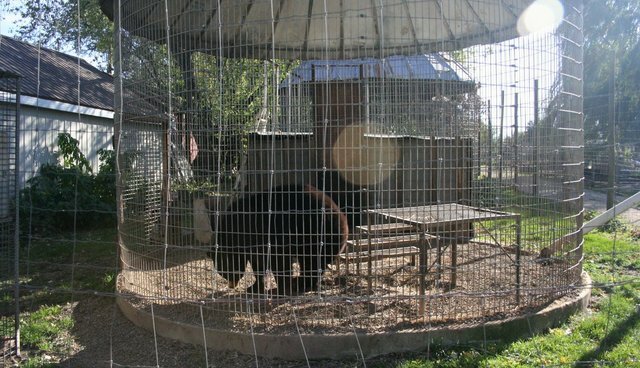 A municipal zoo that failed to properly drain animal enclosures, letting large mammals stand for hours in water filled with feces. The zoo also allowed wires to poke through the wolf enclosure, endangering wolves and creating opportunities to escape. A tiger was suffering an injury for eight years and other animals lacked locked enclosures. Extensive photographic evidence, visitor observation, and expert analysis indicate animals are suffering both mentally and physically. Enclosures were strewn with fly-laded meat and an emaciated lioness was witnessed vomiting. Highly social primates were kept in isolation so small it would be like locking a human in a phone booth. A commercial breeder of cows, goats, and pigs who failed to provide adequate veterinary care to animals again and again, including sheep in nearly 100 degree weather, as well as a goat with an egg-sized swelling and a lamb with a serious limp, neither of whom had access to any kind of shelter. Want to do something about these houses of horror? Speak up for animals by signing ALDF's Animal Bill of Rights and tell Congress that you believe animals deserve legal protection.